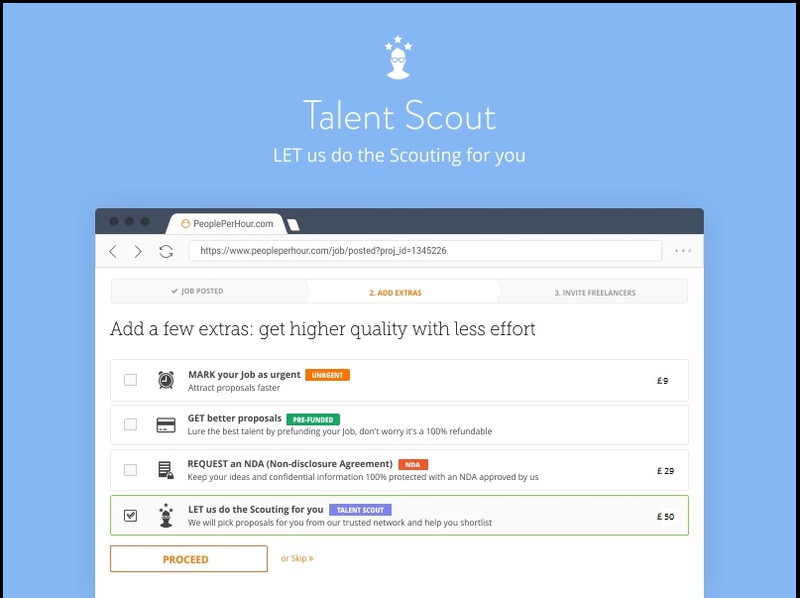 Your own private Talent Scout! Do you often find it hard to select the right Seller for the Job among the plethora of proposals you receive? Do you wish you had someone to help you pick the right person for your Job ? Our Talent Scout will be there, every step of the way to help you out with everything you may require regarding your Job. If you wish to be contacted via phone, let your Talent Scout know, and they’ll take it from there! The Talent Scout extra will be added to our current list of extras and will cost £50/€55/$60, according to your chosen currency. If one or more of the recommended Sellers complete the Job successfully, they will be added to our Scouted Freelancers network and invited to bid for similar Jobs in the future. Very bad! They are cracking money from client many way but create a features of average work cost which is very low rather than market value.